Long overdue for a new post here at Julie Turjoman Design. Chalk it up to house guests and the need to finish up edits and proofing of my next book. 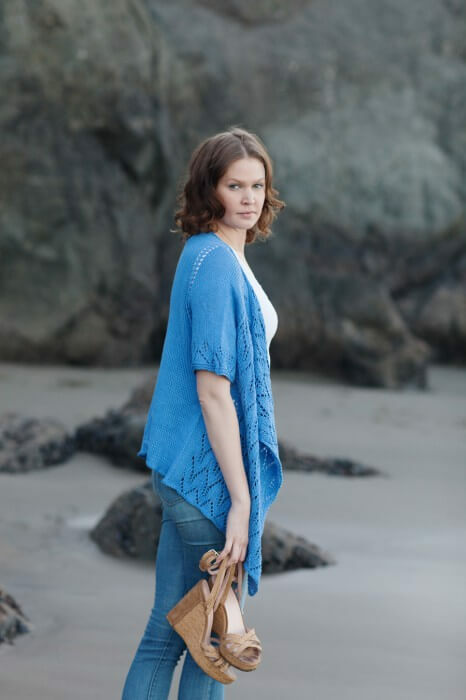 Let’s talk about the Splash Cardigan from Knits That Breathe, shown below fastened asymmetrically with a shawl pin. 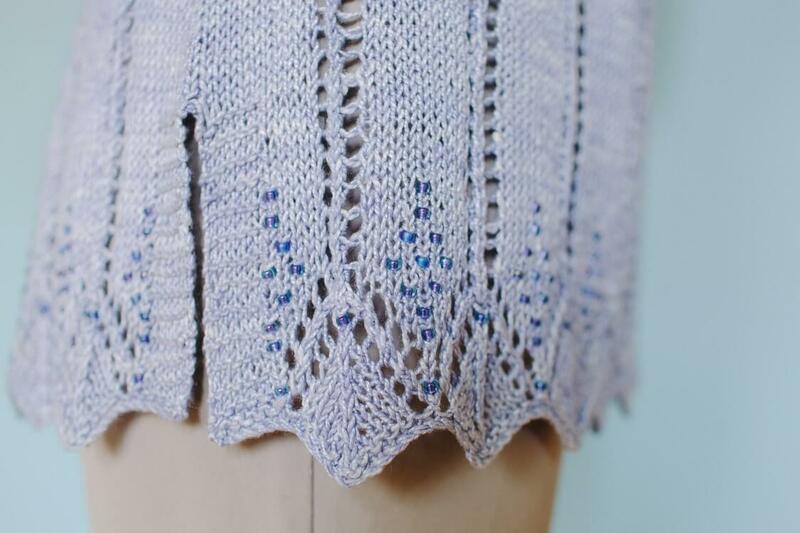 Designing Splash as a top-down cardigan was another deliberate choice, leaving only short underarm seams to complete before blocking. If you’re going to make a hip-length cardigan, after all, do you really want to have to sew lots of long seams when the knitting is done? The lace design repeats in a simple border toward the end of the sleeves. Lest you get tired of all that lace on the fronts, I kept the back side plain Stockinette. 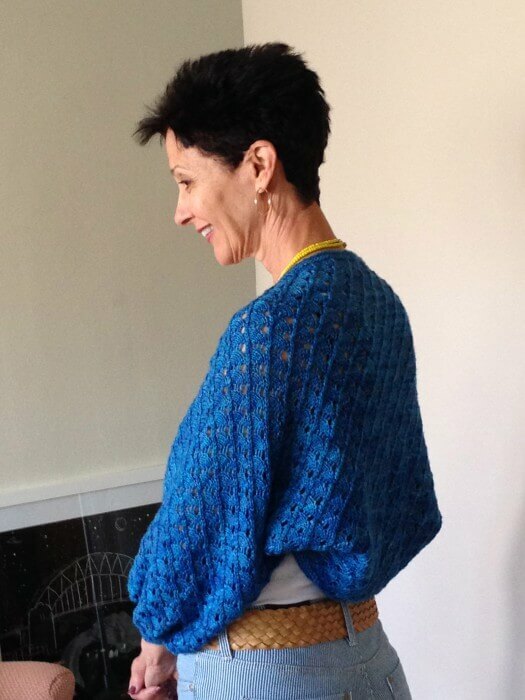 The top-down shoulders also include simple yarn overs, adding to its cool feel and appearance. I included faux side seams, made by carrying a slipped stitch up into the next row before knitting it to give the appearance of seams. It’s the kind of design element I like to use – another detail that makes the finished garment just a little more special. 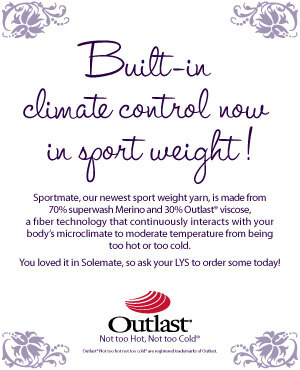 And the yarn… oh, yes – the yarn. 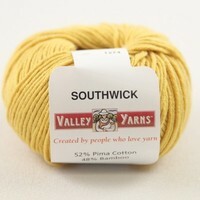 Can I tell you how much I enjoyed working with Valley Yarns’ Southwick? The 52% pima cotton and 48% bamboo fiber blend is absorbent and drapes beautifully. Minimal blocking was required. Despite the fact that it’s a swanky Italian import, this yarn is well-priced (and on sale right now at WEBS for only $5.39/ball) and available in a veritable rainbow of 26 colors. Although it was a little splitty on the needles, I found that a minor inconvenience once I saw how beautifully it knits up. As far as Splash is concerned, the overlapping lace fronts mean that you can wear it either open or fastened with a shawl pin as demonstrated above. 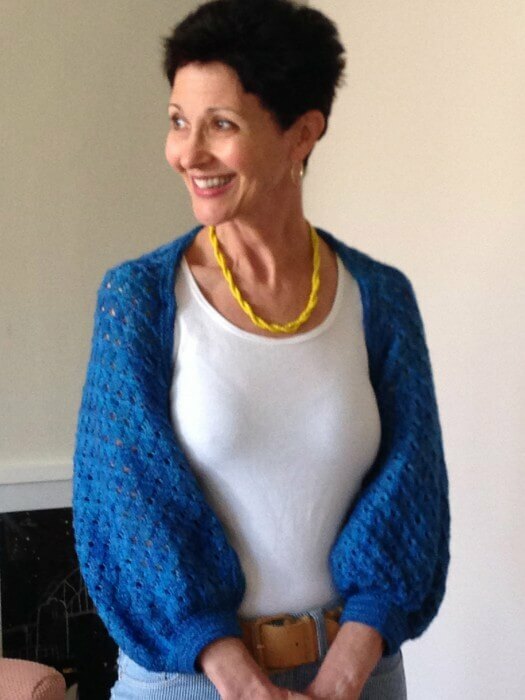 I like the added versatility… this allows for changing up the look of the cardigan just enough to keep it interesting. I wish I was on that San Francisco beach right now, toes in the sand, bracing tang of salt in the air. But if I can’t be there, Splash at least allows me to pretend! 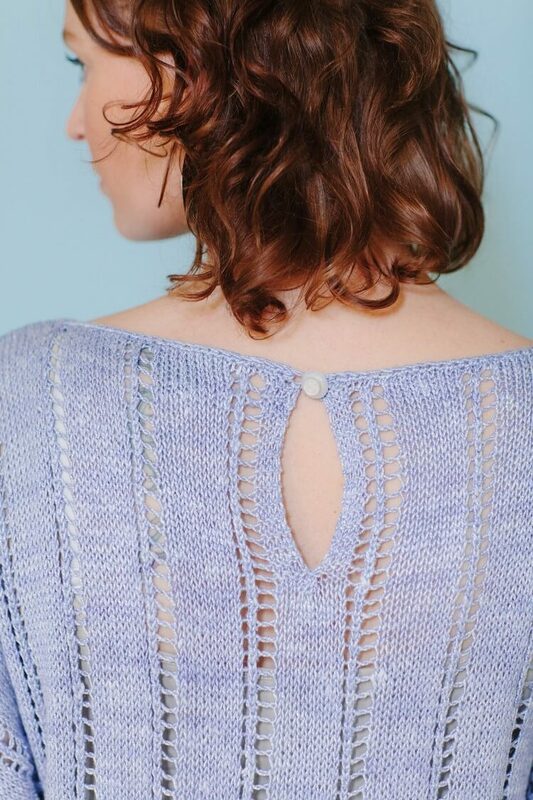 Worked in two pieces – front and back – Breezy is one of those summer projects that works up quickly but looks like you slaved over it. Its A-line shaping means that it epitomizes comfort, but those deep lace borders mean it looks smashing over a skirt as well as with jeans. 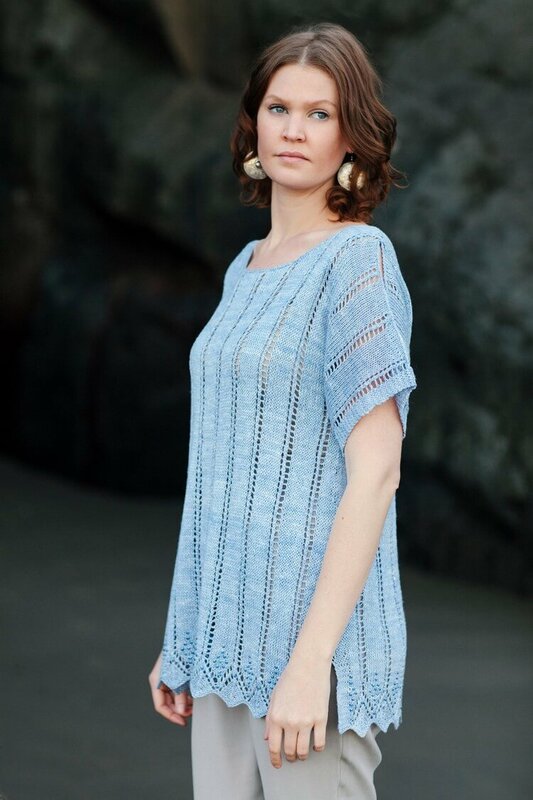 Picot cast-on and the extravagant lace pattern are the special details that take a bit of time and thought, but give you the satisfaction of knowing you’ve earned those rows of easy Stockinette for the upper body. 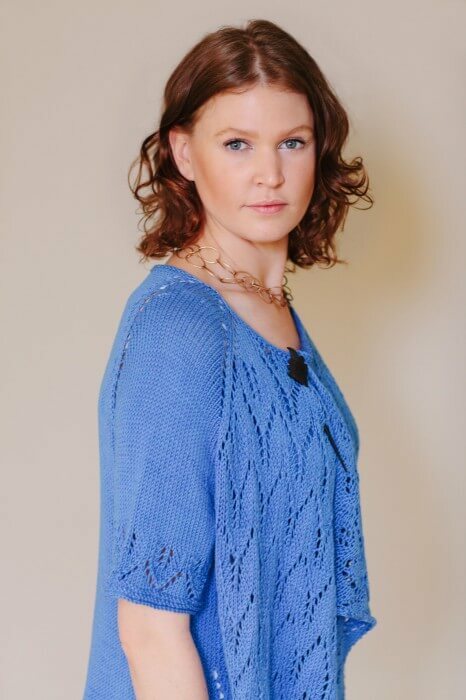 A centered chest pocket features the same lace motif as the deep borders, and adds interest to the swathe of Stockinette from the waist up. On cooler days, pop this tunic over a lightweight tee shirt and you’ll be happily comfortable. On hot days, I’m happy to confirm that the absorbent organic cotton and sleeveless design combine forces to keep you cool. And because the top is not at all sheer you needn’t worry about modesty. In fact, you won’t need to wear even a camisole underneath when a glance at the thermometer tells you it’s tropical outside. And maybe it’s just me, but one of the things I love about those deep lace panels is that I can reach my jeans pockets easily by sliding a hand in from the side. Classic Elite Yarns Verde Collection is the company’s range of environmentally conscious fibers, which are all about natural comfort. Seedling is the smiling poster child for organic cotton; robust yet surprisingly lightweight, machine washable, and available in a lovely color palette. For our purposes, it’s important to note that it’s also highly absorbent, blissfully soft, wonderfully textured, and well-priced.